When Bank of America launched the first mainstream consumer credit card, the BankAmericard in 1958, they did so in a mass “drop,” mailing out 60,000 active credit cards to the unsuspecting residents of Fresno, California. Although the idea was not without its problems — sending live credit cards through the mail, unsolicited, what could go wrong? — it did serve as a proof of concept that the universal credit card had a place in America’s wallets. Since the Great Fresno Drop of ’58, the Truth in Lending Act (1968) made it illegal to send unsolicited credit cards through the mail. While you’ll still likely receive pre-screened offers in your mailbox from time to time, you’ll need to fill out a formal application to receive a credit card these days. Luckily, modern technology has made the process easier — and faster — than ever. When you get right down to it, signing up for a rewards credit card is simple — it’s choosing one from among the dozens of options that can be difficult. The first thing you’ll need to determine is the type of rewards you’re most likely to use; rewards of any type do you little good if you never redeem them. When you know what type of rewards you want to earn, you can start comparing options to find the right card. You’ll want to choose a card that offers the highest earnings rate on the purchases you make more frequently. For instance, if your family tends to spend a lot at the grocery store, look for a card that offers bonus rewards in that category. If your spending is more varied, an unlimited flat-rate rewards card may prove the most valuable. Once you’ve found your perfect rewards card, signing up is as easy as heading online to the issuer’s website and filling out an application. If you’ve received an offer in the mail, you can input your offer code online or respond by mail. In most cases, you’ll receive a response to your online application in just a few minutes. Signing up for a cash back credit card starts with picking the card that will maximize your cash back rewards. This means figuring out where you spend the most and choosing a card that will provide cash back on those purchases. Many cash back cards offer bonus rewards for purchases in common everyday categories, including restaurant and gas station purchases. Travel rewards credit cards are perfect for the frequent traveler — or anyone else who wants to earn free airfare and hotel stays as they shop. As with other rewards cards, those offering travel rewards provide only unlimited flat-rate rewards for all purchases or additional bonus rewards for purchases in predetermined categories. You can sign up for a travel rewards card using the same process as other rewards cards, which involves completing the online application (or responding to a mailed offer). The only difference will be if you select a card co-branded with a specific hotel or airline, in which case you may need to provide your existing loyalty program number during application. Generally considered to be the most flexible type of rewards, points tend to provide the largest variety of redemption options, often including cash back, travel, and merchandise. To maximize your points potential, be sure to apply for the card that offers you the best earnings rate for the purchases you make most frequently. With the perfect points card in your sights, you can head online and sign up in minutes. The pinnacle of credit card rewards for many cardholders, credit card signup bonuses provide a one-time bonus lump sum of cash back, points, or miles. Most signup bonuses require you to meet a minimum spending requirement within a set period of time, typically within the first 90 days of opening your account. In general, you won’t need to complete a separate application form to become eligible for a signup bonus, as you will automatically become eligible when you are approved for the credit card. Similarly, you should automatically receive your signup bonus within two to six weeks after completing the signup bonus requirements. Whether you are looking for a card from your favorite bank, want a credit card issuer with high scores for customer satisfaction, or simply love that great television commercial, sometimes the perfect credit card is as much about the name it sports as the features it offers. Thankfully, no matter which issuer you choose, signing up for a credit card will follow the same simple steps, particularly if you apply online. While some of the specific questions you’re asked may vary, the only thing that really changes in the signup process for different issuers is the website where you apply. Similar to Amex, Discover is a credit card processing network that also issues its own credit cards, which seems to provide a better experience for consumers, as Amex and Discover are the top-rated card companies for customer satisfaction. 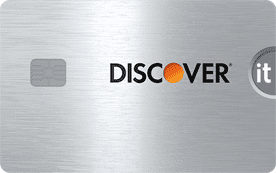 Discover offers two main credit cards, the Discover it® card, which exists in several offer variations, and the Discover it® chrome, also called the Gas & Restaurant Card. 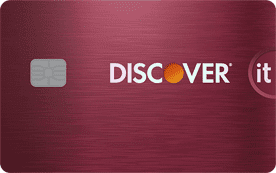 Signing up for a Discover card is as easy as clicking “Apply Now” and filling out the online application. In addition to the typical personal and financial information, you’ll also get to select your initial card design during application. To respond to a mailed offer, you can input your Invitation Number on the response page. Between its wide variety of consumer and business credit card options and its popular Ultimate Rewards points program, Chase is a top choice for many prospective cardholders. You can get to a Chase credit card application by clicking the “Apply Now” button on the individual page for the card you’ve chosen. One thing to keep in mind when signing up for a Chase credit card is the infamous 5/24 Rule, which will automatically reject applicants who have opened five or more new credit accounts in the last 24 months. If you have too many recent accounts, you may need to wait a few months before applying for a Chase card. Citi’s range of credit card offerings includes more than 15 options for consumers and small business. The bank provides both its own branded card options, such as the breakthrough Citi Double Cash Card, as well as a host of co-branded cards, including the much-lauded American Airlines co-branded AAdvantage cards. You can sign up for a new Citi credit card by clicking the “Apply Now” button for any individual card and completing the online application. You’ll need to select a security word during the application process that will be used to set up online banking if you’re approved. If you’ve received a pre-screened Citi credit card offer in the mail, you can respond to the offer online by entering your Invitation Number on the response page. American Express is both a credit card processing network and a card issuer, offering a range of consumer and business credit products, including both charge cards and revolving credit cards. Signing up for an American Express credit card is as simple as selecting the Amex card you want, clicking the “Apply Now” button, and filling out the short application form. If you’ve received a pre-screened Amex offer in the mail, you can go to the Check for Offers screen and enter your 14-digit RSVP code under “Respond to Your Mail Offer.” Once you’ve completed the online application, you can receive a decision in as few as 30 seconds. The Blue Cash Preferred® Card from American Express provides a hard-to-beat rewards package, including 6% cash back on grocery purchases. Just $35 a week in grocery purchases made with your Blue Cash Preferred® card will let you break even on the $95 annual fee. And that’s before you include bonus rewards from gas station and department store purchases. The Amex EveryDay® Credit Card from American Express offers flexible Membership Rewards® points, including bonus Membership Rewards® points for supermarket purchases. If you use your Amex EveryDay® Credit Card 20 or more times a month, you can receive 20% bonus points on those net purchases, helping you rack up rewards in no time. The Blue Cash Everyday® Card from American Express is the lighter version of the Blue Cash Preferred® card, offering lower rewards earnings rates but without the annual fee. You can earn rewards and enjoy interest-free purchasing with the Blue Cash Everyday® card’s introductory offer for 0% APR. Wells Fargo’s line of credit cards covers the gamut, with consumer offerings to meet nearly any need, including options for earning rewards, lowering your APR, and building credit. You can sign up for a Wells Fargo credit card online by clicking the “Apply Now” button for a particular card and filling out the application. 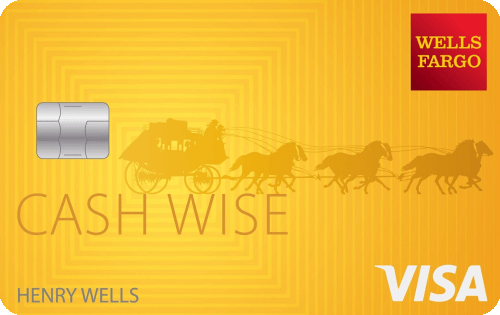 In some cases, you may have received an exclusive offer from Wells Fargo in the mail. To apply for a Wells Fargo credit card using a pre-screened offer code, simply head online to Respond to an Offer and enter the reservation number from your offer and the last four digits of your Social Security number. With all the options available in the modern credit card market, it can be all too easy to get so wrapped up in the idea of picking the perfect card that you forget one key fact: just because you sign up, doesn’t mean you’ll be approved. Yes, no matter the card’s features or origins, nearly every credit card issuer will rely on your credit history and score to determine your creditworthiness before approving your application. This means an important part of signing up for a new credit card is to check your credit reports and scores so you know where you stand. If you have good credit, congratulations — signing up for a credit card will likely be a matter of simply picking the card you want. For everyone else, however, signing up may first require looking for cards that cater to your particular credit profile. As the ideal consumer for most of the prime credit card market, those with good to excellent credit scores (FICO scores above 680) often receive their pick of the available options. For these diligent and responsible consumers, the most difficult part of signing up for a credit card will often be choosing which card to go after first. Of course, a vital part of maintaining your good credit throughout the signup process is to ensure you use any new cards as responsibly as your track record with your current and past credit products indicates. This means paying your bills on-time and as agreed, maintaining low credit card balances, and avoiding opening excessive credit accounts. In many ways, having fair credit (FICO scores between 580 and 669) is a bit like being in credit card limbo. You’re not the demographic for the subprime credit card issuers — but you’re not exactly the target audience for the latest and greatest prime cards, either. 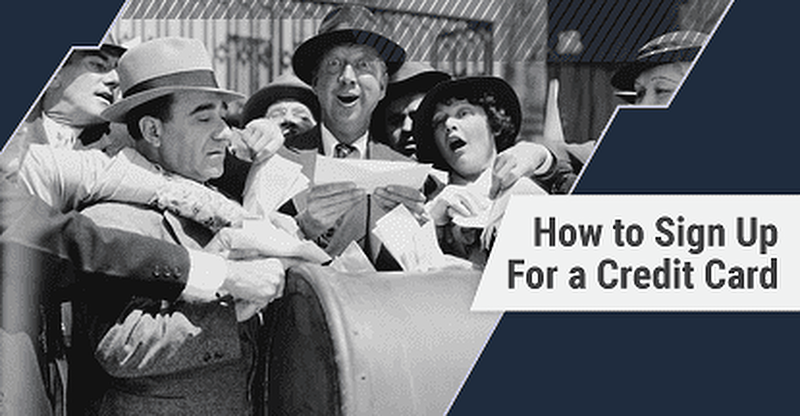 This can make signing up for a credit card with fair credit a little tricky. While prime cards are almost always a better — and more affordable — option than subprime cards, you have to be careful to pick a card for which you’re likely to qualify. A good way to test the waters for a particular issuer is to check for pre-qualification offers. Pre-qualification uses a soft credit check to determine which cards you are most likely to qualify for, helping you avoid a rejection — and a wasted hard credit pull. When you have bad credit (FICO scores below 580), traditional credit card issuers typically don’t want to take the risk of offering you a credit card. So, for bad-credit consumers, successfully signing up for a credit card is mostly a matter of selecting the right card in the first place. By choosing a credit card designed for rebuilding credit, you can significantly improve your chances of being approved when you sign up. With poor credit, your options will generally be between subprime unsecured credit cards — which tend to have high rates and fees — or secured credit cards, which require an up-front deposit to open. Although no news might be good news in some industries, that’s not the case in the world of finance. Indeed, the only good thing about having no credit history is that it isn’t a bad credit history. For applicants with no or limited credit histories, a critical part of signing up for a credit card will be carefully selecting a card that is designed for credit-builders or students. If you have some credit history but are concerned it isn’t enough to qualify for a particular card, you can check for pre-qualification offers before officially applying. While pre-qualification doesn’t guarantee you’ll be approved if fill out a formal application, it can be a good indicator of your chances. Since pre-qualification uses a soft credit inquiry, rather than a hard inquiry, it won’t affect your credit score. Credit cards have certainly come a long way since the first mass-delivered batch of BankAmericard credit cards hit 60,000 mailboxes in Fresno, California. We now have literally hundreds of different credit card options on the market, with options for nearly any consumer’s credit card wants or needs. The process of signing up for a new credit card has also evolved exponentially — especially considering the first cardholders didn’t even sign up at all. Long gone, too, are the cumbersome snail-mail applications that took days or months to get a response. Today, most credit cards are obtained through simple online application forms that shorten the time it takes to sign up for a new card to a matter of minutes, with responses in as little as 30 seconds. The credit card future is now.